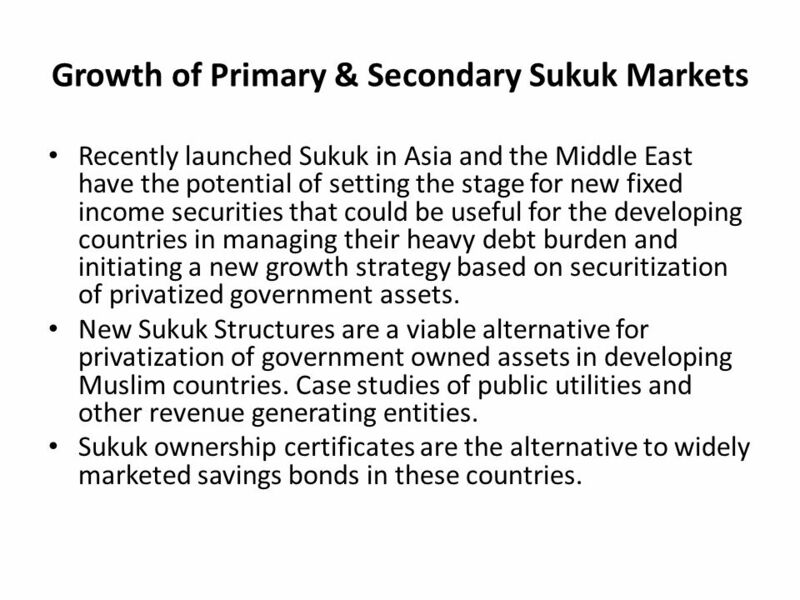 Recently launched Sukuk in Asia and the Middle East have the potential of setting the stage for new fixed income securities that could be useful for the developing countries in managing their heavy debt burden and initiating a new growth strategy based on securitization of privatized government assets. 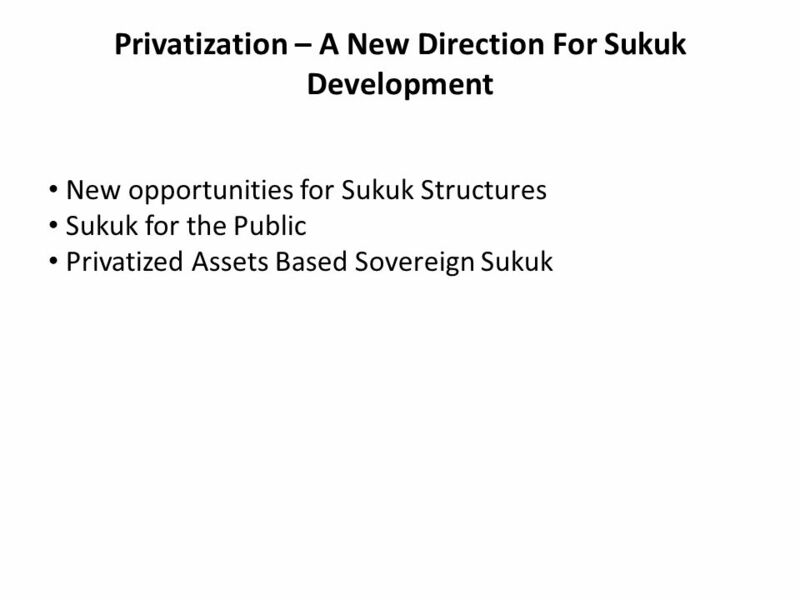 New Sukuk Structures are a viable alternative for privatization of government owned assets in developing Muslim countries. Case studies of public utilities and other revenue generating entities. Sukuk ownership certificates are the alternative to widely marketed savings bonds in these countries. 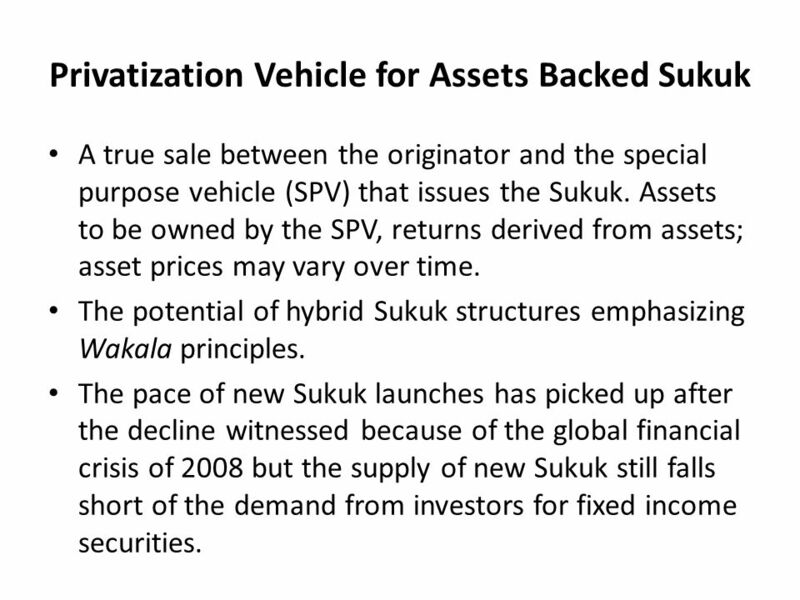 A true sale between the originator and the special purpose vehicle (SPV) that issues the Sukuk. Assets to be owned by the SPV, returns derived from assets; asset prices may vary over time. 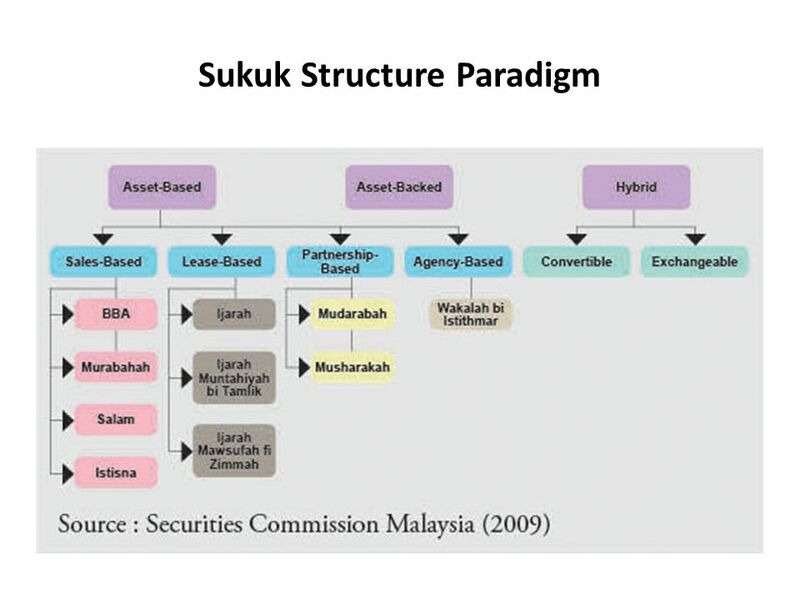 The potential of hybrid Sukuk structures emphasizing Wakala principles. The pace of new Sukuk launches has picked up after the decline witnessed because of the global financial crisis of 2008 but the supply of new Sukuk still falls short of the demand from investors for fixed income securities. 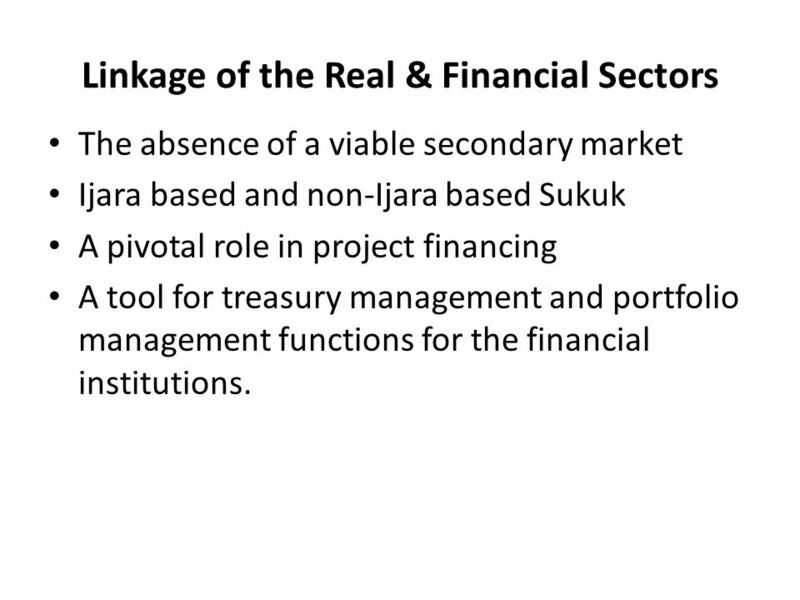 The absence of a viable secondary market Ijara based and non-Ijara based Sukuk A pivotal role in project financing A tool for treasury management and portfolio management functions for the financial institutions. 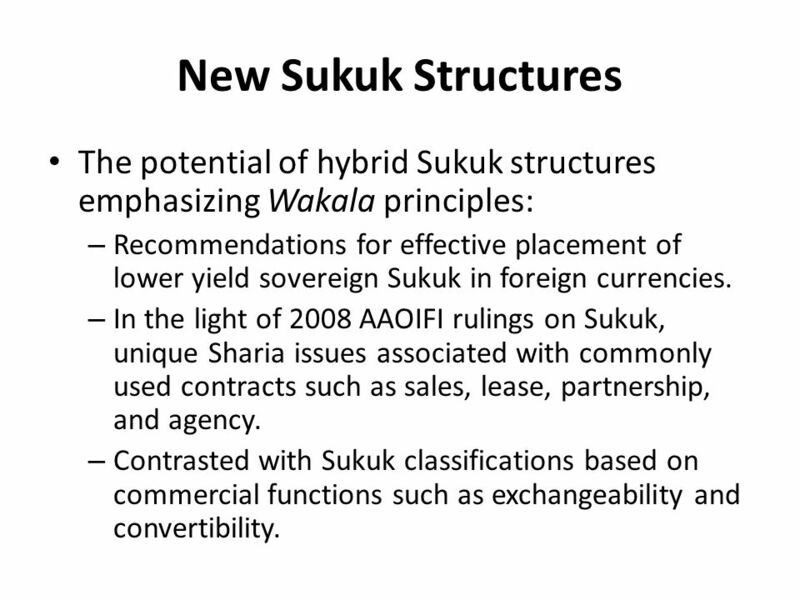 10 New Sukuk Structures The potential of hybrid Sukuk structures emphasizing Wakala principles: Recommendations for effective placement of lower yield sovereign Sukuk in foreign currencies. 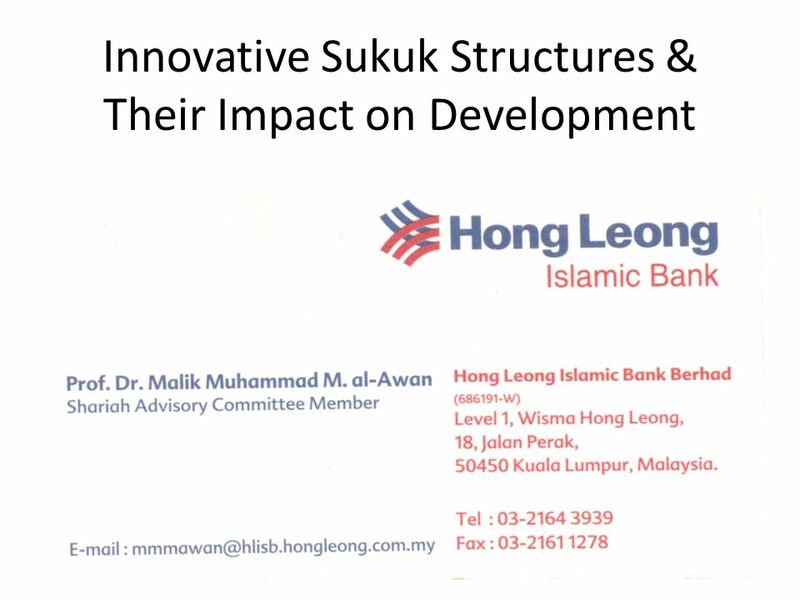 In the light of 2008 AAOIFI rulings on Sukuk, unique Sharia issues associated with commonly used contracts such as sales, lease, partnership, and agency. 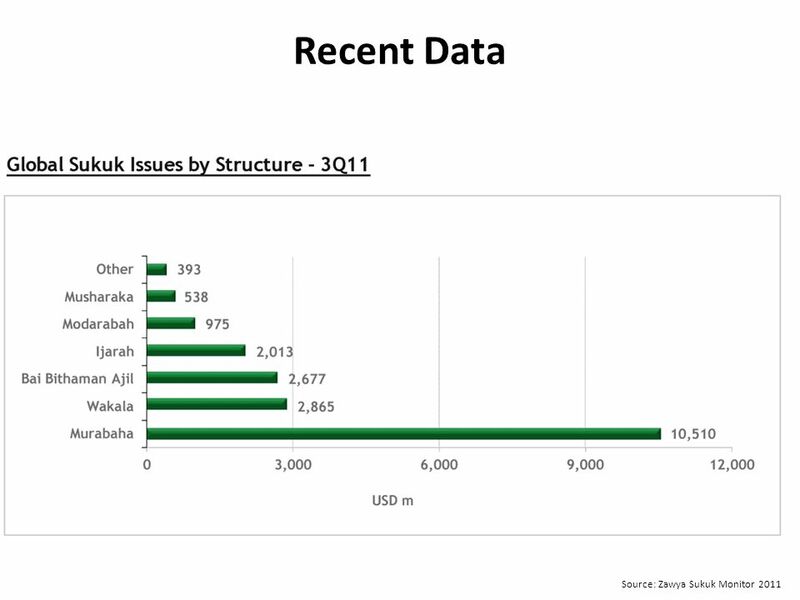 Contrasted with Sukuk classifications based on commercial functions such as exchangeability and convertibility. 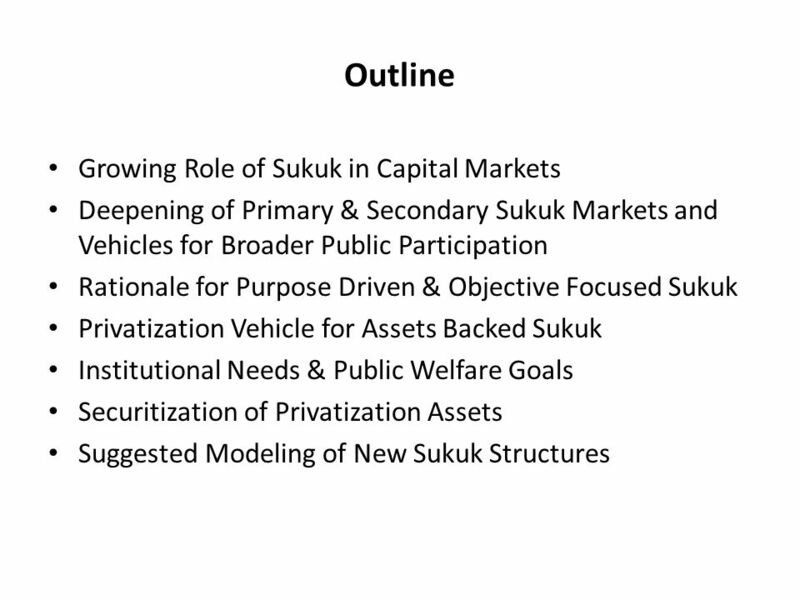 Download ppt "Innovative Sukuk Structures & Their Impact on Development"
SAUDI ECONOMIC FORUM March Banking in KSA and Challenges Ahead. Chapter 19 Securities Markets Business Today. 2Prentice Hall Investment Choices Stocks – Preferred Stock – Common Stock Common-Stock Dividends Stock Splits. ISLAMIC CAPITAL MARKETS. Main function is to facilitate transfer of investable funds from those having surplus to those requiring funds. Achieved by selling. 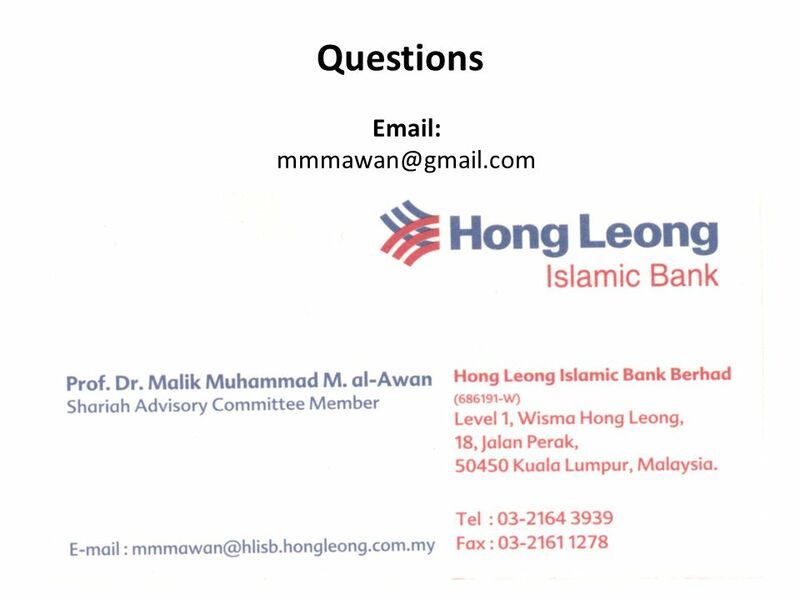 CAPITAL MARKETS PRESENTED BY ANWAR MISBAH SOUBRA, Phd. What is mutual fund A Mutual Fund is a special type of investment institution which collects or pools the savings of the community and invests large funds. © Allen & Overy Roger Wedderburn-Day Debt Financing and Sukuk LSE Islamic Finance Seminar Series 30 October 2013. Corporate Bonds and Sukuk Issues Developing the Market in Maldives Rabel Akhund 7 May 2008 Male. African market reform continues African capital markets follow the Emerging World Presentation by Des Mahony to the ASEA conference in Accra October. Chap. 1 The Study of Financial Markets Financial Markets – A Definition: –Markets in which funds are transferred between savers (investors) and borrowers. Copyright © 2004 by The McGraw-Hill Companies, Inc. All rights reserved. McGraw-Hill /Irwin Chapter One Introduction.